"Empirical Approach to Machine Learning"
Dr. Chen is currently the Dean of the Faculty of Science and Technology, University of Macau, Macau, China and a Chair Professor of the Department of Computer and Information Science since 2010. He worked at U.S. for 23 years as a tenured professor, a department head and associate dean in two different universities. Dr. Chen’s research areas are in systems, cybernetics and computational intelligence. He is a Fellow of the IEEE and AAAS. He was the President of IEEE Systems, Man, and Cybernetics Society (SMCS) (2012-2013). Currently, he is the Editor-in-Chief of IEEE Transactions on Systems, Man, and Cybernetics: Systems (2014-). He has been an Associate Editor of many IEEE Transactions, and currently he is an Associate Editor of IEEE Trans on Fuzzy Systems, IEEE Trans on Cybernetics, and IEEE/CAA Automatica Sinica. He is the Chair of TC 9.1 Economic and Business Systems of IFAC. He is also a Fellow of CAA and Fellow of HKIE and an Academician of International Academy of Systems and Cybernetics Science (IASCYS). In addition, he is an ABET (Accreditation Board of Engineering and Technology Education, USA) Program Evaluator for Computer Engineering, Electrical Engineering, and Software Engineering programs. Dr. Chen he received Outstanding Electrical and Computer Engineering Award in 2016 from his alma mater, Purdue University, West Lafayette, where he received his Ph.D. degree in 1988, after he received his M.S. degree in electrical engineering from the University of Michigan, Ann Arbor, in 1985. In recent years, deep learning caves out a research wave in machine learning. With its outstanding performance, more and more applications of deep learning in pattern recognition, image recognition, speech recognition, and video processing have been developed. This talk will introduce a fuzzy generative deep learning algorithm and a novel broad learning systems. A fuzzy generative learning -- Fuzzy Restricted Boltzmann Machine (FRBM) -- is developed by replacing real-valued weights and bias terms with symmetric triangular fuzzy numbers (STFNs) or Gaussian fuzzy numbers and corresponding learning algorithms. A theorem is concluded that all FRBMs with symmetric fuzzy numbers will have identical learning algorithm to that of FRBMs with STFNs. The second part of the talk is to discuss a very fast and efficient discriminative learning -- "Broad Learning". Without stacking the layer-structure, the designed neural networks expand the neural nodes broadly and update the weights of the neural networks incrementally when additional nodes are needed and when the input data entering to the neural networks continuously. The designed network structure and learning algorithm are perfectly suitable for modeling and learning big data environment. Experiments results in MNIST and handwriting recognition and NORB database indicate that the proposed BLS significantly outperforms existing deep structures in learning accuracy and generalization ability. "Deep learning and tensor networks"
Tensor factorizations / decompositions and their extensions tensor networks have become emerging techniques in many machine learning approaches. The usefulness of the concept of tensor decomposition and tensor networks will be illustrated over a number of applied areas in machine learning and AI, including generalized regression, classification, support tensor machines (STM), tensor canonical correlation analysis (TCCA), higher order partial least squares (HOPLS), multilinear linked independent component analysis (MLICA), Non-negative Tensor Factorization (NTF), multiway robust PCA (MRPCA), clustering and anomaly detection. Special emphasis will be given to the links between tensor networks and deep neural networks and abilities of some specific tensor networks like tensor train, (TT), tensor ring (TR) , hierarchical Tucker (HT) and MERA that may model and efficiently compress both the fully connected layers and the convolutional layers of deep neural networks. Cichocki, A. (2018). Tensor Networks for Dimensionality Reduction, Big Data and Deep Learning. In Advances in Data Analysis with Computational Intelligence Methods (pp. 3-49). Cichocki, A., Mandic, D., De Lathauwer, L., Zhou, G., Zhao, Q., Caiafa, C., & Phan, H. A. (2015). Tensor Decompositions for Signal Processing Applications: From Two-Way to Multiway Component Analysis. IEEE Signal Processing Magazine, 32(2), 145-163. "Fingerprints of brain cognitive activity"
Understanding the brain is one of the greatest challenges faced by humanity. Great progress has been made in recent years in methods of measurement and analysis of neuroimaging and electrophysiological data. Extracting "fingerprints" of active brain regions or subnetworks from EEG data will open the path to many applications: reliable brain-computer interfaces, diagnostic methods in neuropsychiatry, therapeutic interventions using neuromodulation, optimization of brain processes through neurofeedback or behavioral procedures, and interpretation of some mental states. I shall review several approaches that help to identify specific brain activity from high density EEG signals, based on spectral fingerprints, source reconstruction and localization, and functional network science analysis. Recent methods of data preprocessing, realistic models of ionic currents conduction through various brain tissues, methods of reconstruction of potentials measured by the EEG sensors and connectivity analysis allows to achieve results that in some cases can be compared with those obtained from functional MRI. Professor Nikola Kasabov is Fellow of IEEE, Fellow of the Royal Society of New Zealand and DVF of the Royal Academy of Engineering, UK. He is the Director of the Knowledge Engineering and Discovery Research Institute (KEDRI), Auckland. He holds a Chair of Knowledge Engineering at the School of Computing and Mathematical Sciences at Auckland University of Technology. Kasabov is a Past President and Governor Board member of the International Neural Network Society (INNS) and also of the Asia Pacific Neural Network Assembly (APNNA). He is a member of several technical committees of IEEE Computational Intelligence Society and a Distinguished Lecturer of the IEEE CIS (2012-2014). He is a Co-Editor-in-Chief of the Springer journal Evolving Systems and has served as Associate Editor of Neural Networks, IEEE TrNN, IEEE TrFS, Information Science, Applied Soft Computing and others. Kasabov holds MSc and PhD from the TU Sofia, Bulgaria. His main research interests are in the areas of neural networks, intelligent information systems, soft computing, bioinformatics, neuroinformatics. He has published more than 600 publications that include 15 books, 200 journal papers, 80 book chapters, 28 patents and numerous conference papers. He has extensive academic experience at various academic and research organisations in Europe and Asia, including: TU Sofia, University of Essex, University of Otago, Advisor- Professor at the Shanghai Jiao Tong University, Guest Professor at ETH/University of Zurich. Prof. Kasabov has received numerous Awards, including: APNNA Outstanding Achievements Award; INNS Gabor Award; EU Marie Curie Fellowship; Bayer Science Innovation Award, RSNZ Science and Technology Medal; Honorary Member of the Bulgarian Academic Computer Society; and others. He has supervised to completion 42 PhD students. More information of Prof. Kasabov can be found on the KEDRI web site: http://www.kedri.aut.ac.nz. The current development of the third generation of artificial neural networks - the spiking neural networks (SNN) along with the technological development of highly parallel neuromorphic hardware systems of millions of artificial spiking neurons as processing elements, makes it possible to create truly brain-like artificial intelligence (AI) [1,2]. The talk first presents some principles of SNN and deep learning in evolving SNN (eSNN). It then introduces a brain-inspired SNN architecture called NeuCube which is designed for the creation of brain-like AI systems [3,4] (http://www.kedri.aut.ac.nz/neucube/). The talk demonstrates how SNN and NeuCube in particular can be used to develop large scale AI applications for efficient learning and processing of multimodal, multidimensional and temporal data, including : EEG data for brain computer interfaces; fMRI data; personalised modelling ; environmental and ecological streaming data; audio-visual information processing and other. The talk discusses briefly implementation of SNN on various platforms, including: PC; GPUs; highly parallel neuromorphic hardware platforms such as SpiNNaker  and the INI/ETH Zurich chip and DVS [8,9]. The created brain-like AI systems are not only significantly more accurate and faster than the once created by the use of traditional machine learning methods, but they lead to a significantly better understanding of the data and the processes that generated it. Future directions are pointed towards a further integration of principles from the science areas of computational intelligence, bioinformatics and neuroinformatics [10,11]. 2. Schliebs, S., Kasabov, N. (2013). Evolving spiking neural network-a survey. Evolving Systems, 4(2), 87-98. 3. Kasabov, N. (2014) NeuCube: A Spiking Neural Network Architecture for Mapping, Learning and Understanding of Spatio-Temporal Brain Data, Neural Networks, 52, 62-76. 4. Kasabov, N., Dhoble, K., Nuntalid, N., Indiveri, G. (2013). Dynamic evolving spiking neural networks for on-line spatio- and spectro-temporal pattern recognition. Neural Networks, 41, 188-201. 5. Kasabov, N. et al (2015) A SNN methodology for the design of evolving spatio-temporal data machines, Neural Networks, in print. 6. Kasabov, N., et al. (2014). Evolving Spiking Neural Networks for Personalised Modelling of Spatio-Temporal Data and Early Prediction of Events: A Case Study on Stroke. Neurocomputing, 2014. 7. Furber, S. et al (2012) Overview of the SpiNNaker system architecture, IEEE Trans. Computers, 99. 8. Indiveri, G., Horiuchi, T.K. (2011) Frontiers in neuromorphic engineering, Frontiers in Neuroscience, 5, 2011. 9. Scott, N., N. Kasabov, G. Indiveri (2013) NeuCube Neuromorphic Framework for Spatio-Temporal Brain Data and Its Python Implementation, Proc. ICONIP 2013, Springer LNCS, 8228, pp.78-84. 10. 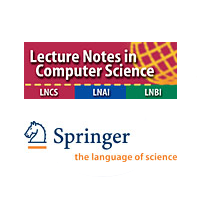 Kasabov, N. (ed) (2014) The Springer Handbook of Bio- and Neuroinformatics, Springer. "Modelling Diversity and Autonomy Aspects for Processing Collective Knowledge"
The subject of this talk refers to the problem of evaluating the accuracy of collective prediction. This problem is important for such fields like Prediction Market or Knowledge Integration. A formal model of collective will be presented and two its aspects will be analyzed: diversity and autonomy. We will show that these two aspects have an essential impact on the accuracy of the collective prediction. They are also useful in determining the proper parameters of a collective to achieve a given level of the accuracy. In general, we will show several results proving that in certain situations the accuracy of a collective is higher than the accuracies of the collective members. "IGrC: Toward Computing Model for Data Science"
Andrzej Skowron, ECCAI and IRSS Fellow, received the Ph. D. and D. Sci. (habilitation) from the University of Warsaw in Poland. In 1991 he received the Scientific Title of Professor. He is Full Professor in the Faculty of Mathematics, Computer Science and Mechanics at the University of Warsaw. Andrzej Skowron is the (co)author of more than 400 scientific publications and editor of many books. His areas of expertise include reasoning with incomplete information, approximate reasoning, soft computing methods and applications, rough sets, rough mereology, granular computing, intelligent systems, knowledge discovery and data mining, decision support systems, adaptive and autonomous systems, perception based computing, and interactive computational systems. He was the supervisor of more than 20 PhD Theses. In the period 1995-2009 he was the Editor-in-Chief of Fundamenta Informaticae journal. He is on Editorial Boards of many others international journals. Andrzej Skowron was the President of the International Rough Set Society from 1996 to 2000. He has delivered numerous invited talks at international conferences including a plenary talk at the 16th IFIP World Computer Congress (Beijing, 2000), a keynote talk at the 8th Joint Conference on Information Sciences (JCIS 2005) (encompassing 12 individual conferences and workshops) (USA, 2005), an invited talk at the 2006 IEEE/WIC/ACM International Conference on Intelligent Agent Technology (IAT 2006) and on Web Intelligence (WI 2006) (Hong Kong, 2006), and a plenary talk at the 2nd World Congress on Biologically Inspired Computing (Japan, 2010). He was serving as (co-)program chair and PC member of more than 200 international conferences. He was involved in numerous research and commercial projects including dialog-based search engine (Nutech), fraud detection for Bank of America (Nutech), logistic project for General Motors (Nutech), algorithmic trading (Adgam), control of UAV (Linköping University), and medical decision support (Polish-American Pediatric Clinic in Cracow). Andrzej Skowron was on the ICI Thomson Reuters/ Clarivate Analytics lists of the mostly cited researchers in Computer Science (globally) in 2012 and 2016. Computations in Data Science are based on interactions. We discuss Interactive Granular Computing (IGrC) as a computing model for Data Science (DS). IGrC is an extension of Granular Computing (GrC). In IGrC we put together into synchronous cooperation the following four basic concepts of Artificial Intelligence: language, reasoning, perception, and action. Moreover, information granulation in IGrC makes it possible to deal with compound structural objects, e.g., in the context of complex spatio-temporal space. Basic objects in IGrC are complex granules (c-granules or granules, for short). Agents, performing computations based on interaction with the physical environment, are involved in performing complex tasks of perceiving and/or transforming c-granules. They are grounded in the physical reality and are, in particular, responsible for generation of c-granules, called information systems (data tables), through interactions with the configurations of physical objects. These information systems are next aggregated by agents into new information systems with new induced structures of objects and their attributes. These processes lead to the development of more compound c-granules, i.e., networks of information systems (decision systems) used to search for computational building blocks that are necessary for perception. Examples of such blocks are patterns, clusters or classifiers. They are used for initiating actions (plans) or understanding behavioral patterns of swarms of c-granules. It is worthwhile mentioning that the information networks in the discussed approach are dynamical objects open to interactions with the environment. Moreover, numerous tasks in Data Science can be classified as control tasks performed by agents interacting with the physical reality aiming at achieving the high quality trajectories of computations relative to the considered quality measures over the trajectories. In searching for solutions of the challenging control tasks they learn interaction rules, representing knowledge not known a priori by agents. Adaptive learning of families of interaction rules relevant for satisfying needs of agents can be treated as adaptive learning of strategies by agents in their complex games with the environment. Reasoning supporting agents in searching for solutions of their tasks is based on adaptive judgment, an important component of IGrC. Methods based on adaptive reasoning allow agents to construct from given configurations of their c-granules new ones. These new configurations of c-granules should be relevant for realization of computations by agents through interactions with the environment toward achieving their goals. For example, adaptive judgment is used in (i) inducing approximations of complex vague concepts evolving with time, (ii) efficiency management of granular computations, carried out by agents, for risk management toward achieving their goals or (iii) dialogues between users and the system for receiving the relevant support in decision making by users. Adaptive judgment is performed over c-granules, and computations over them. It plays a crucial role in the assessment of what is currently important, and what is less important for an agent (from the point of view of hierarchy of her/his needs). It constitutes the basis for the evaluation and improvement of interaction plans that are being implemented. In a sense, judgment may be treated as an elaboration of the concept of rational reasoning about the properties of computations in IGrC. This is due to the necessity of taking into account not only mechanisms of logical reasoning, but also constraints and other mechanisms that influence in decisions making. These mechanisms pertain, e.g., to perception, emotions, instinct, habits, intuition, fast thinking, and experience. Thus, adaptive judgment is not only limited to deduction, induction, or abduction. Adaptive judgment in IGrC can be treated as a proposal toward a 'reconciliation' (in the opinion of Leslie Valiant) between two contradictory characteristics -- the apparent logical nature of reasoning and the statistical nature of learning.